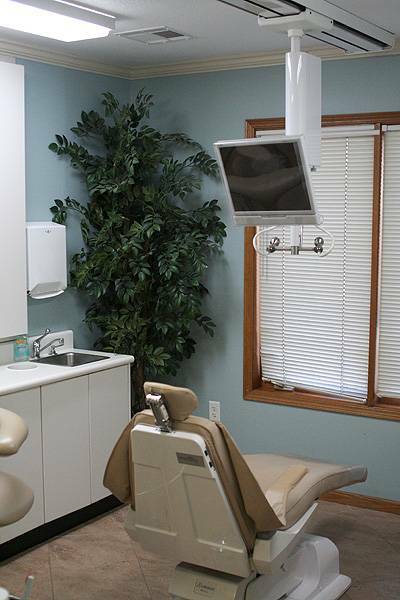 Dentist in Pittsburg, KS | What can I say? Posted May 24, 2011 . When I was a child, I really did not enjoy going to the dentist! As a matter of fact, it was quite the ordeal for my mom to get me to sit in the chair. Eventually, a visit to the local “dime store” for a post-visit bribe worked. Needless to say, I eventually outgrew those feelings. In the past I have told others the story of my announcement to my family of my desire to become a dentist. It was during my second year of college that I was still unsure of a definitive major. I finally chose dentistry because of my love for the sciences and enjoyment of working with my hands. The fact that a few family friends were dentists helped too. I recall phoning my mom with the news of my decision to be a dentist and getting a big laugh back from her. (She remembered the tough early years!!) As a side note, mom has been a big emotional supporter of my decision!! In the “old days”, dentistry was a lot different than it is today. I recall the dentist working mostly solo and from a standing position. The now infamous spittoon was the norm, and all fillings were silver. Wow, have things changed! Sit down, four-handed dentistry with a capable dental assistant and cosmetic materials have made receiving dentistry easy and comfortable. Yesterday, I performed a “New patient” exam on a person who recently moved here from Southern California. (Now I am sure for every one of you who may be asking the question, “Why move to Kansas?” I can tell you of many more who are asking, “Why did you wait so long?”) After we were done and she was escorted to the front desk area, she commented about how impressed she was with our modern facility. Granted we did have a total remodel about two to three years ago, we did not have a spittoon before the remodel, and we do not have one now. This event has caused me to reflect on my situation. Like many people I sometimes get so caught up in life that I forget how good I actually have it. I enjoy dentistry and part of the reason for that enjoyment is the fantastic team members I work with each day, our modern facility, and the up to date procedures we perform; procedures such as tooth whitening, natural looking white fillings, and beautiful porcelain crowns. I can’t give a big enough “Thank you” to my team and my family of patients who make my life’s work fun. Thank you. If you have any dental questions or concerns, please feel free to call Albert Mendez DDS PA (Pittsburg Kansas dentist) at 620-231-6070. We would love to hear from you and help in any way possible. Please check out our website. We also encourage you to “friend” us on Facebook and “follow” us on Twitter. We are here for you!